Not all stars are like the sun, so not all planetary systems can be studied with the same expectations. 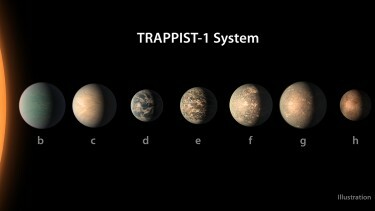 New research from a University of Washington-led team of astronomers gives updated climate models for the seven planets around the star TRAPPIST-1. The work also could help astronomers more effectively study planets around stars unlike our sun, and better use the limited, expensive resources of the James Webb Space Telescope, now expected to launch in 2021.